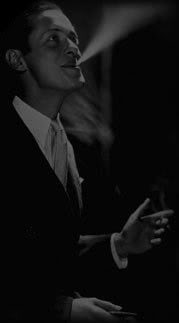 Classic Montgomery - Film thoughts from a modern-day Robert Montgomery fangirl: Mark December 1st on Your Calendar! Mark December 1st on Your Calendar! A tad late Happy Birthday to Mr. Joel McCrea, born November 5, 1905 in Pasadena, CA. 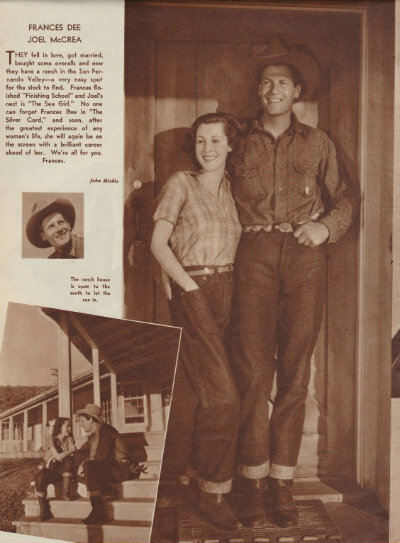 A cowboy at heart, when Joel married actress Frances Dee, the young couple moved to his new ranch house near Moorpark, CA. The ranch was quite large initially, much of it being sold off during the housing boom in the late 50s and early 60s. (Mr. McCrea was a very wealthy man.) The couple remained married until his death in 1990, a mere 57 years later. To find out more about the ranch, check out this site, McCrea Ranch Foundation. Be sure and check the upcoming events. A tour of the ranch sounds like great fun. An Evening With Lucky & Pauline. How Nice! Have a Happy Thanksgiving! Enjoy the Day! And Just How Can I Get a Tour Ticket?